Now more than ever, countries are introducing English as a second language at earlier stages of learning. The TOEFL® Young Students Series helps you measure your students’ English-language skills and guide students to the next steps of learning. The tests are designed for age appropriate learning levels of young students. On top of reading books to nurture good English language skills, young parents and older parents can be assured that the TOEFL can be used to benchmark their children’s level of English proficiency. The TOEFL Junior® tests, intended for students ages 11+, provide real insight into your students’ English communication skills to help you make the best decisions and guide them on a path to success. Why use the TOEFL Junior? The student’s total score and descriptive statements that help students, parents and teachers to understand the student’s English proficiency levels and their ability to execute language use. Scores are mapped to the Common European Framework of Reference (CEFR) levels. The Lexile measure score is to help the student to find books that match his/her English proficiency standard, to facilitate learning efficiency. The Common European Framework of Reference (CEFR) is an internationally recognized standard for describing an individual’s language proficiency widely accepted across Europe. 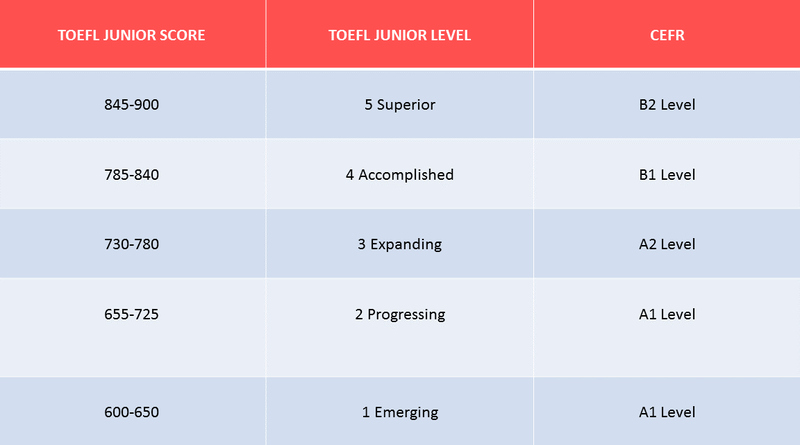 The TOEFL® Junior™ score report clearly shows what ranges of TOEFL® Junior™ test scores correspond to each CEFR level, rendering the test scores the most serviceable for university or immigration in Europe. 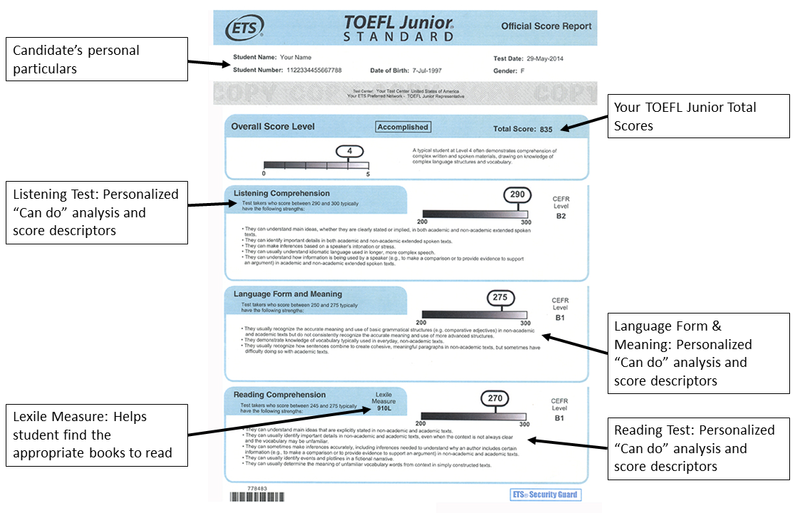 How to prepare for the TOEFL Junior®? The TOEFL Junior Standard English Learning Center offers an “Exploring Language” feature to raise students’ linguistic awareness. Students engage in shorter text-completion activities, such as notes, emails, announcements, brief biographies and book extracts.